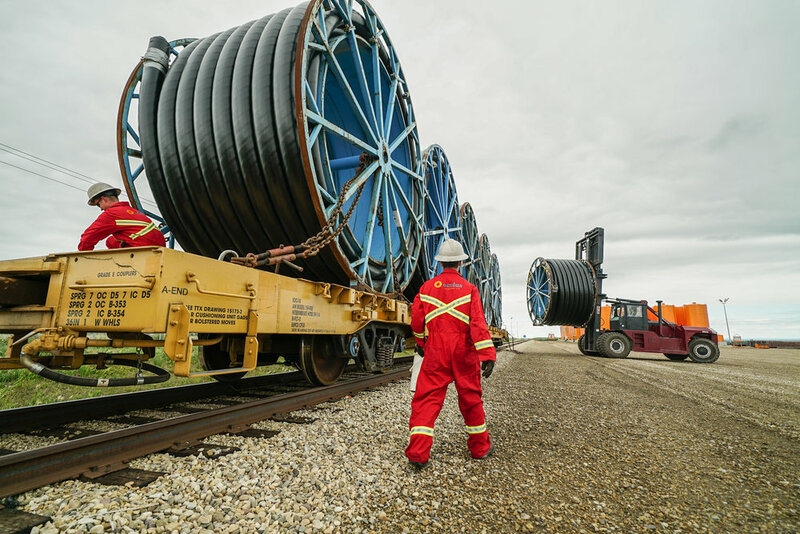 Oculus Transport boasts two of the largest pipeyards in Alberta and British Columbia. Strategically positioned on rail spurs capable of holding 23 cars in Fort St. John and 53 in Grande Prairie, we handle high volumes of incoming product. Pipe is unloaded by a highly trained operator using state of the art Pettibone loaders and can then be stored in the adjacent yard, or loaded on our units capable of hauling upwards of 66,000lbs per load.